Constipation is a common digestive problem when the normal bowel clearance is hampered. Normal bowel clearance varies from person to person. Though most of the people need bowel clearance once in a day, some people also need it twice daily. When the frequency of bowel clearance decreases at an alarming rate, it is regarded as constipation. Regular constipation creates gas and gears up the problem of acidity. For this reason the problem of constipation should be treated with great care and as early as possible. There are various medicines available in the market which may clear your bowel instantly but these medicines have side effects and are harmful in the long run. But if you try something herbal, it has no side effects and helps you to overcome the problem. 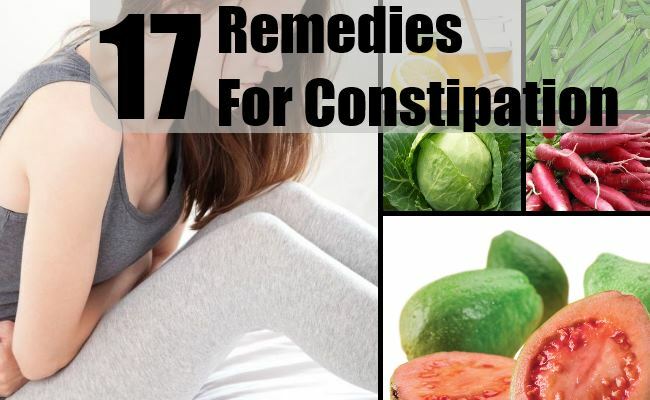 This article will give you few tips on herbal remedies for constipation. The first and the easiest thing which you can do is to drink adequate water to get rid of constipation. Drink 8-10 glasses of water everyday. It will help to keep your bowel clear and will remove toxins from your body through urine and stool. Lemon is a great thing to clear your bowel. Take a cup of warm water. Squeeze one lemon in it. Add a teaspoon honey in it. Mix well and drink the liquid at empty stomach everyday. Drink it regularly and get rid of constipation soon. 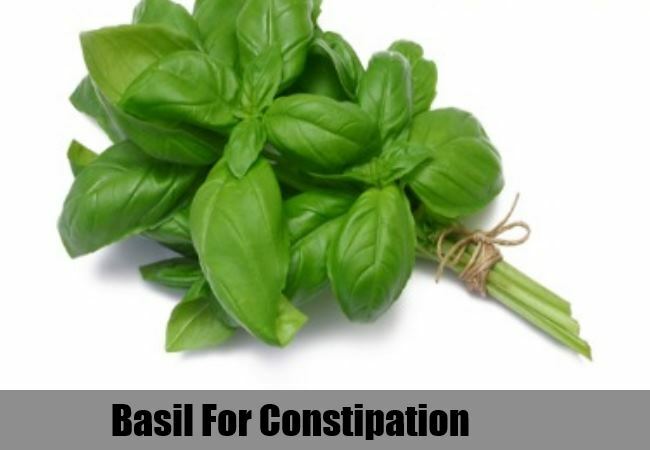 Basil and honey is a good combination which keeps your bowel clear and help you to overcome constipation. Take some fresh basil leaves and chew them. Lick one teaspoon honey and swallow the whole thing followed by a glass of warm water. You will get relief from constipation. 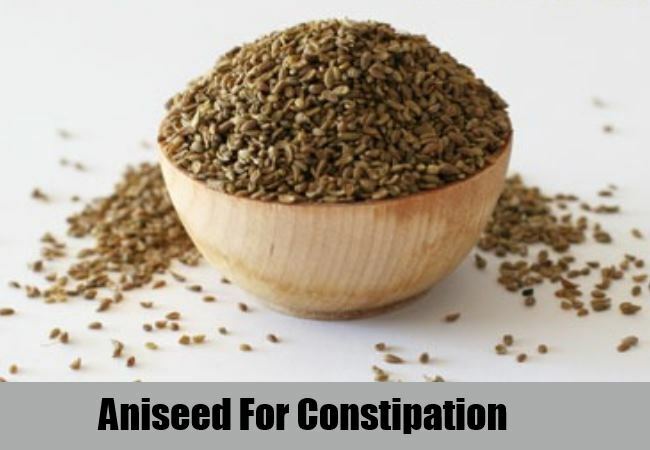 Aniseed and candy is a good natural medicine to get rid of constipation. Soak a teaspoon aniseeds and 3 to 4 sugar candies in a glass of water overnight. Next morning strain the water and drink it. Drink this regularly and soon get rid of constipation. 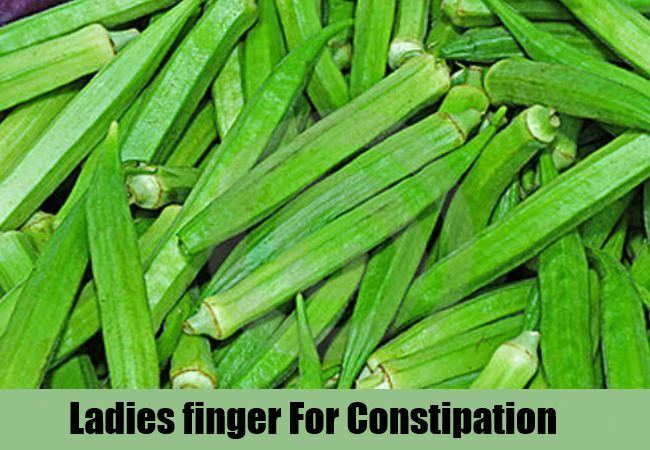 Ladies finger or okra is an excellent product that clears your bowel very easily. Okra is fibrous and helps to clear bowels. Boil some okra in water and eat that. It will help to clear your bowel. Make fine slices of okra and soak them in warm water for some hours. Drink the water along with the slices. Regular eating of okra will help you to overcome the problem of constipation. 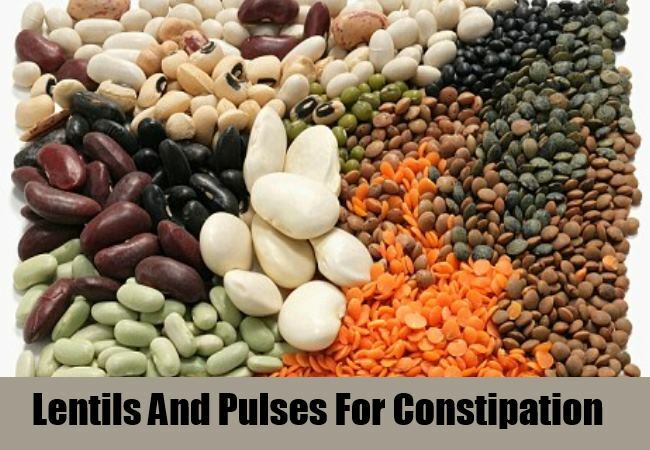 Fibrous foods like lentils and pulses are very effective to clear your bowels and save you from constipation. Cook them everyday and add it in your daily diet. But do not use too much spice or oil while cooking. Light preparation of lentils and pulses help you to overcome the situation. Take a piece of turmeric. Peel it and chew it accompanied with honey or molasses at empty stomach in the morning. Then drink a glass of warm water. 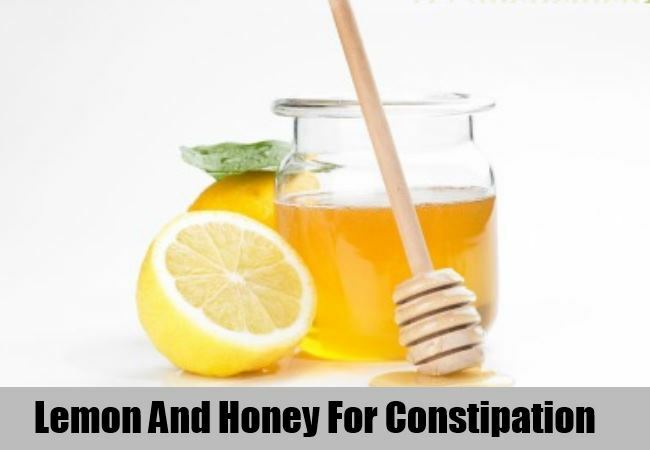 Practice this method everyday and get rid of constipation soon. It helps to clear your bowel regularly and makes your skin beautiful. Warm milk and honey is good enough to cure the problem of constipation. Mix a teaspoon of honey in a cup of warm milk at night before going to sleep. 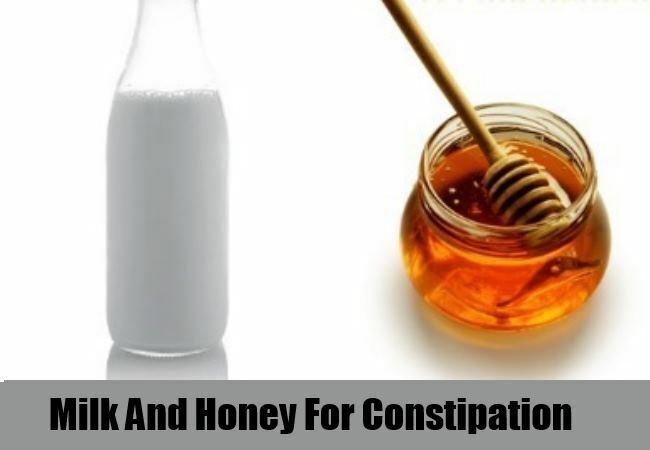 Drink this honey mixed warm milk every night and soon get rid of constipation. 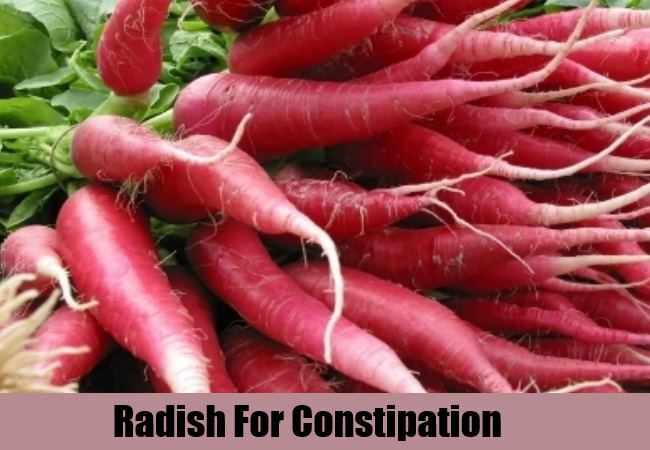 Radish is a good product to cure your constipation. Take a fresh radish. Peel it and cut it into thin slices. Sprinkle salt over it. Eat them and drink a glass of warm water. It will help to release gas and will keep your bowel clear. 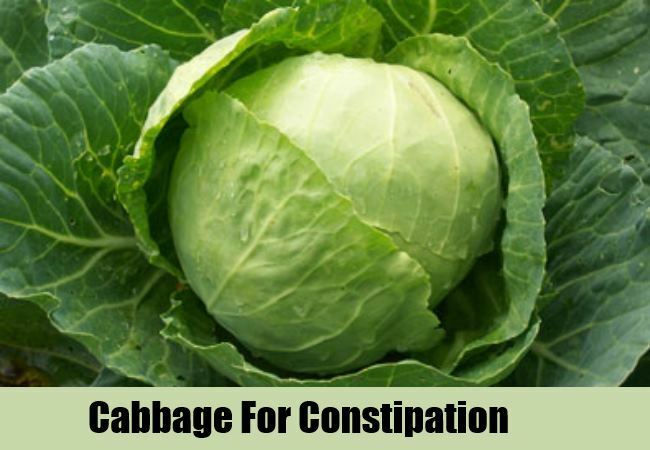 Cabbage is an excellent vegetable that keeps your bowel clear and help you to get rid of constipation. Chop few fresh leaves of cabbage and boil them in water. Drink the soup accompanied with the boiled soft leaves. Eat cabbage everyday for the clearance of bowel. 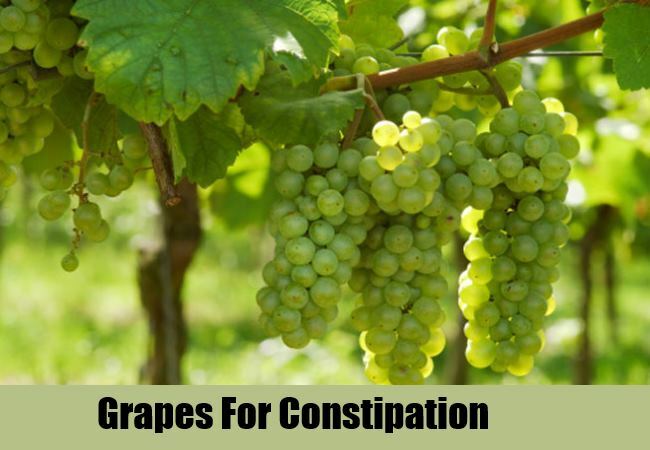 Different types of herbs are excellent to treat constipation. 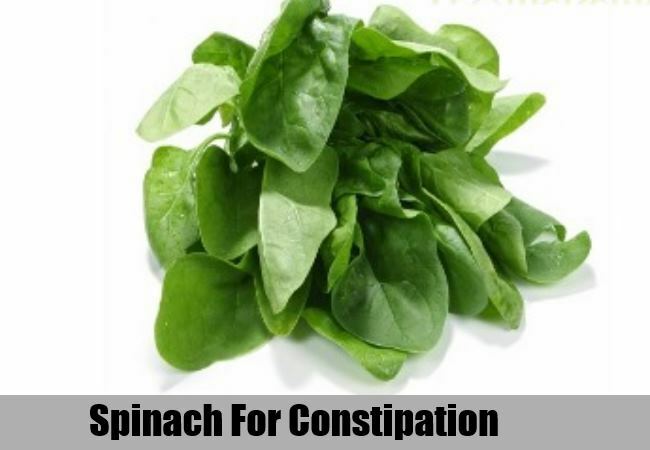 Eat spinach, parsley, coriander, lettuce everyday and soon get rid of constipation. Mango is an excellent fruit that keeps your bowel clear. Mango is widely available in summer and it contains different types of minerals. 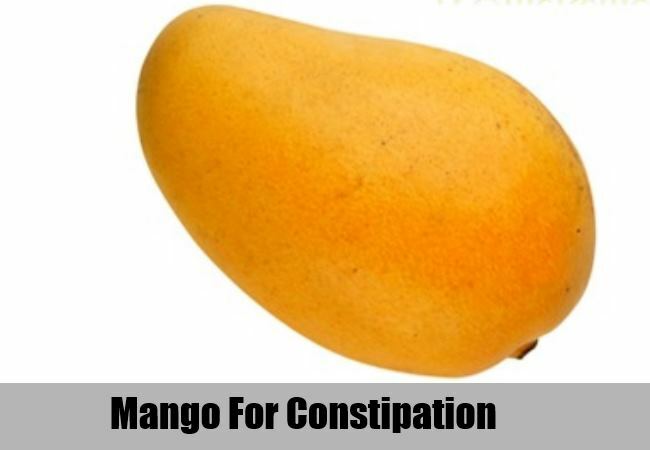 Eat at least one ripe mango everyday in summer and soon get rid of constipation. Mango may make your body hot for this reason. Drink plenty of water when you eat mango at regular basis. Soak some dried grapes or raisin in warm milk and eat both of it. Eat it everyday and get the benefit very soon. Banana is an excellent fruit that keeps your bowel clear. 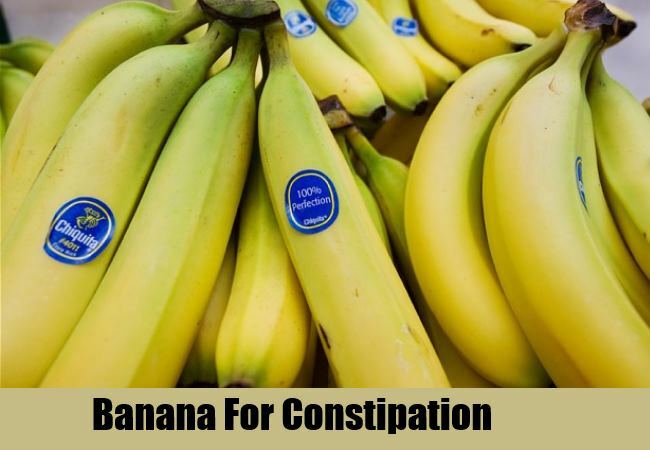 Eat at least one banana everyday if you have problem of constipation. Take banana at your breakfast along with other foods. Cornflakes, banana and milk mixture is a good breakfast that helps to overcome the problem of constipation. You can also make banana shake. To make it in a mixer, mix banana, chilled milk and honey and drink it everyday. You will get rid of constipation soon. 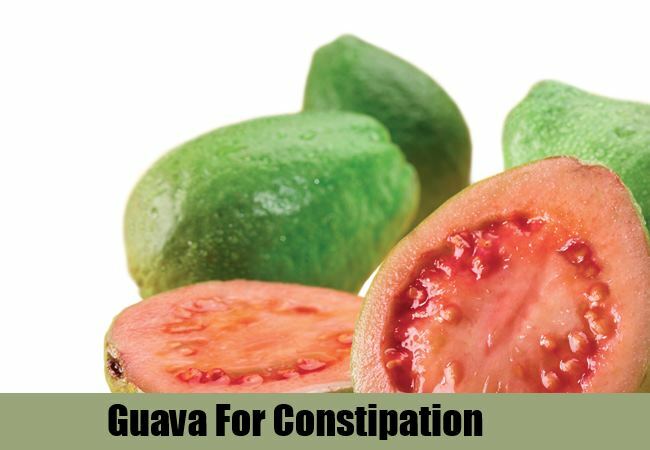 Guava is an excellent fruit that keeps your bowel clear. Take a fresh guava and cut it into small pieces. Sprinkle rock salt over it and eat it after taking your meal everyday. It will help you to keep your bowel clear. 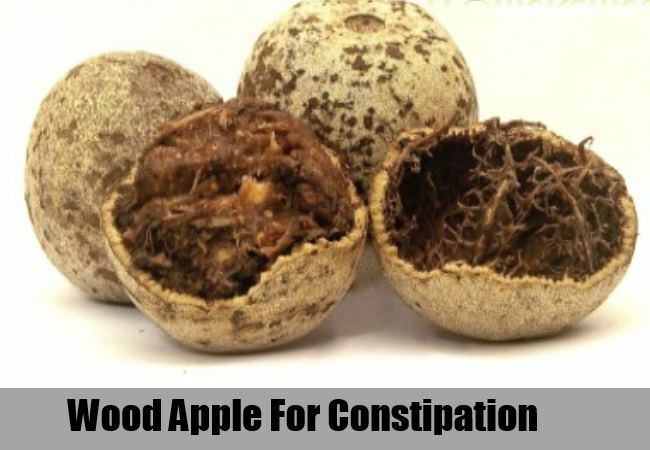 Another excellent fruit is wood apple that helps to cure all types of constipation whether it is chronic or temporary. Break one wood apple. Remove the pulp. Mash it and add water to liquefy it. Then strain the drink and remove seeds and other products. You may mix sugar for test. Drink it everyday and get rid of constipation soon. 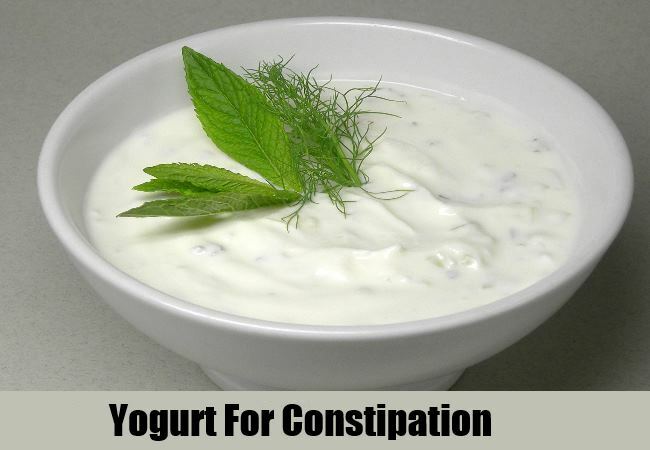 Yogurt and rock salt is a wonderful product that cures your constipation very effectively. Take 2-3 tablespoon of yogurt and beat it with water. Add pinch of rack salt in it. Mix everything. Drink it twice daily after lunch and dinner. You will get relief from acute constipation. So there is nothing to worry. 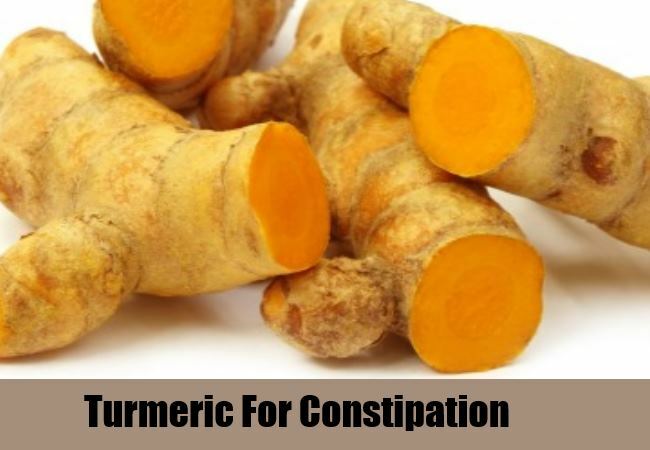 Be your own doctor and cure your constipation with the help of different herbs in a natural way.